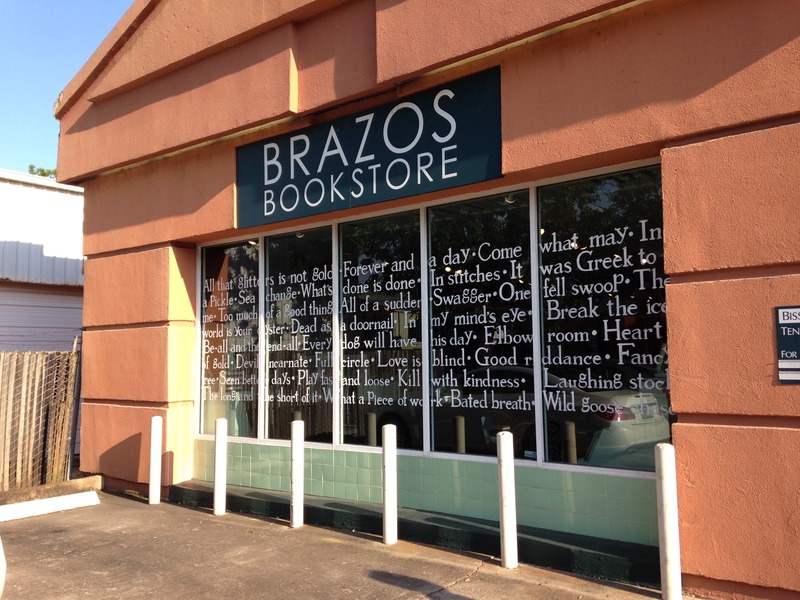 One of the hot spots of Houston’s literary life is Brazos Bookstore. We are thrilled to have Ben Rybeck join An Open Book as a regular contributor to give us an update on all the exciting happenings with the store. On Monday, September 21st, I went to the Wortham Center in Houston for Jonathan Franzen’s sold-out Inprint Margarett Root Brown reading. 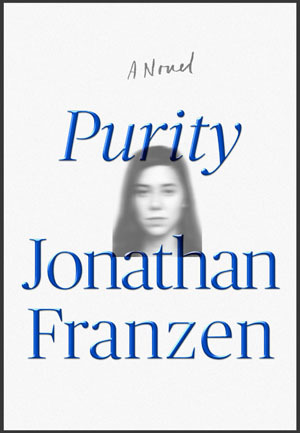 I couldn’t wait to hear something from his new novel, Purity, for reasons that are a little impure. For better or worse, I had that same feeling that I have when I go to rock concerts, as in, maybe there will be high drama or difficulties and I am going to be there. Yay me. No wonder it feels a little hysterical in the room when I get my seat. It is completely bustling, packed. He has won a slew of awards, sold millions of copies. It’s nice to anticipate, a feeling that you think might be becoming extinct as we are previewed to death about so many things now. Even if you have read the book, you don’t know what he will choose to read and how he might sound. Franzen looks exactly like you expect from photographs: glasses, jeans, casual without trying. Levy tells us that “Charlie Brown” is Franzen’s favorite comic strip, and I think of how so many times it is Lucy cruelly taking away the football before Charlie Brown comes in for the kick that parallels Franzen’s dramatizations of American desires and subsequent disappointments. He is good at reminding us how it feels when we hit the ground, duped, yet weirdly, up for it again when Lucy lies to us, asks us to kick it. 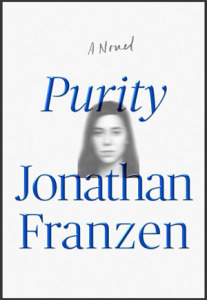 Franzen has not written books called The Discomfort Zone for nothing. If you want to read the latest Atwood, can you wait a while? Say, 100 years? 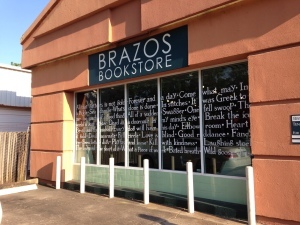 As we launch the 35th season of the Inprint Margarett Root Brown Reading Series tomorrow with National Book Award winner Jonathan Franzen, reading from his latest novel Purity, this story reminds us how fortunate Houston is to have the world’s great literary figures make a stop in our city. Both Margaret Atwood and David Mitchell have appeared in front of sell out audiences as part of the Inprint Margarett Root Brown Reading Series. Lucky for us, some of their work won’t be read for a 100 years! 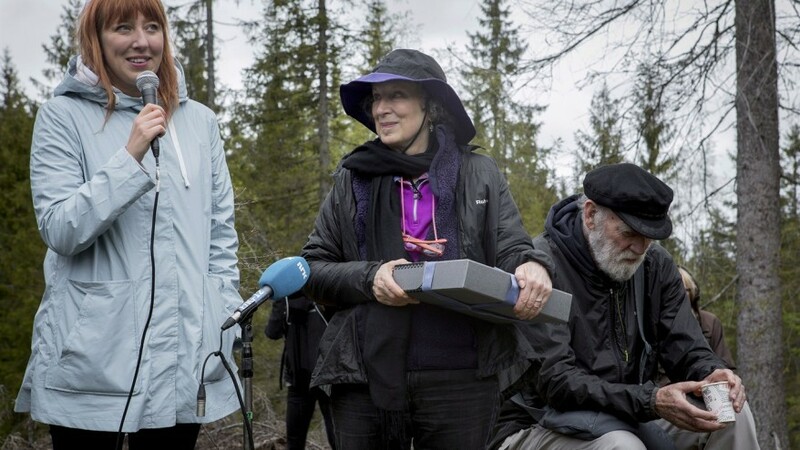 If you want to read Margaret Atwood’s latest piece of writing, Scribbler Moon, you will have to wait a while, say, for another century. One of the great pleasures in life is to get totally lost in a book. 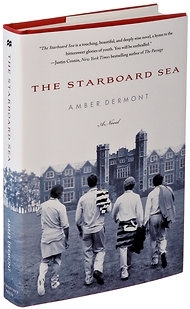 And a couple of weeks ago, I picked up Amber Dermont’s debut novel The Starboard Sea and didn’t want to set it down. Not only is it a fast-paced story with rich characters and a central mystery, set among the privileged class at a New England boarding school, but it is also, in a way, an offspring of Houston’s rich literary community. The other day I was telling a friend that I thought maybe Jeffrey Eugenides’s The Marriage Plot was a kind of feminist novel. As a reminder: Madeleine, a senior at Brown University, is trying to reconcile her adoration of Victorian novels that employ the marriage plot (an antiquated courtship narrative) with the changing landscape of literary criticism. In the midst of her academic consternations, she gets involved in a love triangle of her own with the enigmatic but depressive scientist, Leonard, and the geeky but tender religious studies major, Mitchell. The beautiful heroine, Madeleine, must choose between a man of science and a man of faith (a familiar plot trope we’ve seen as recently as the television show, Lost). I don’t want to give anything away about the ending of the novel, but Madeleine releases herself from that love triangle with a surprising epiphany that feels more third wave feminism than anything else. How nice, I thought when I read it and closed the book. A novel where the heroine “wins” in spite of the men who love her, though not at their expense. So I was telling my friend this and she asked if I’d read Jonathan Franzen’s Freedom last year. I haven’t, but I know what it’s about—the troubled girlhood and college life of the character of Patty, and the love triangle she’s a part of. My friend thought it was interesting that both Freedom and The Marriage Plot are both recent celebrated novels about young women finding their way through romance and contemporary life, but that both of them were written by men. We wondered over our brunch if the same praise would be lauded if women had written those novels. In fact, Ann Beattie’s latest new work (the novella, Walks With Men) is a chronicle of the love life of the twenty something Jane in 1980s Manhattan, and tackles similar issues: how to be young, how to be in love, how to make sense of the world. But Beattie’s novella wasn’t given nearly the same attention. It was, however, given a bright pink and black cover bearing a photograph of a woman’s naked back. I don’t mean to say I think The Marriage Plot is doing anything wrong. I think it’s doing so many things right. Not only did I enjoy reading it, but I also thought it was smart. Really smart, unashamedly, thrillingly smart. I’m excited that it exists. I’m also excited to see someone like Jean Thompson or Joy Williams or Mary Gaitskill write the same kind of novel and get the same kind of consideration.